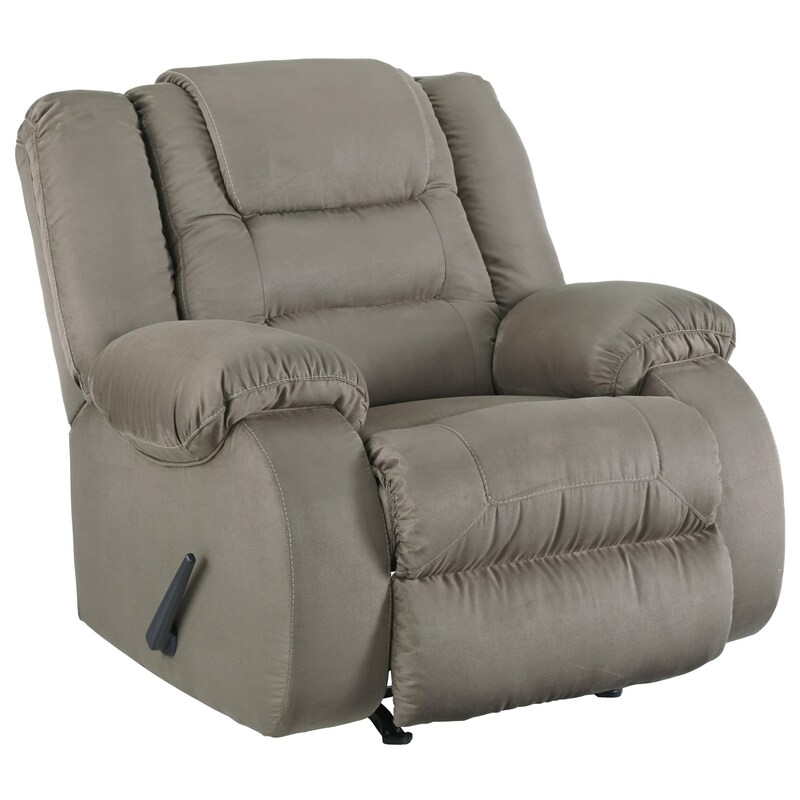 With extra padding in all the right places, this casual recliner will completely transform how you experience comfort. Soft fabric upholstery and detailed stitching provide all the plushness you need to kick your feet up and relax. The McCade Casual Rocker Recliner by Signature Design by Ashley at Michael's Furniture Warehouse in the San Fernando & Los Angeles area. Product availability may vary. Contact us for the most current availability on this product. Padding & Ergonomics Cushions are constructed of low melt fiber wrapped over high quality foam. Features metal drop-in unitized seat box for strength and durability. Recline in comfort with this upholstery collection, which features extra padding, soft fabric, and perfectly placed stitching throughout each piece. The McCade collection is a great option if you are looking for Casual furniture in the San Fernando & Los Angeles area. Browse other items in the McCade collection from Michael's Furniture Warehouse in the San Fernando & Los Angeles area.